Focusky is a presentation maker and editor compatible with both Windows & Mac, which is an alternative for the PowerPoint software by Microsoft. Focusky provides rich editing options and allows you to easily create, publish and present a killer HTML5 presentation or animated video. Focusky features a unique design to creatively combine PowerPoint, images, texts, videos, music, charts, roles, links, slide shows, animations into very zooming eye-catching presentations or animated videos to share with public through Facebook, Twitter, Google+ and other popular social networks. What makes Focusky different is that it is cloud-based. It provides free and safe cloud hosting service to publishing business presentation online that can be accessed from anywhere and anytime. 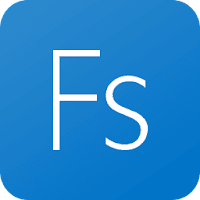 Disclaimer: Direct downloads for the lastest version of Focusky 3.6.10 are provided by the official software's author, we can't guarantee safety, availability or download speed. Moreover, we don't and we won't provide any pirated/illegal versions or tools. We recommend you to avoid it as these methods can harm your device. If you like the software, buy it to support the developers. (We provide software discounts for many worldwide brands).